Hyperpolarized carbon-13 MRI requires specialized methods because, unlike conventional MRI, the signal decays rapidly and is unrecoverable. Our group is working to develop new rapid and efficient hyperpolarized MRI methods, including dynamic metabolic imaging for localized perfusion and rate information, new contrast generation methods to distinguish metabolites in different compartments (ie blood vessels, intracellular, extracellular), and development of specialized techniques for simultaneous imaging of multiple carbon-13 agents. Our group has recently develop methods to perform "push-button", autonomous hyperpolarized MRI scans. The user sets up a region of interest (ROI) to be studied, and then starts the imaging acquisition with the hyperpolarized injection. Our software will then perform all required calibrations of the experiment timing (bolus tracking) and MRI system (B0, B1 calibration), followed by a fast metabolic imaging scan. 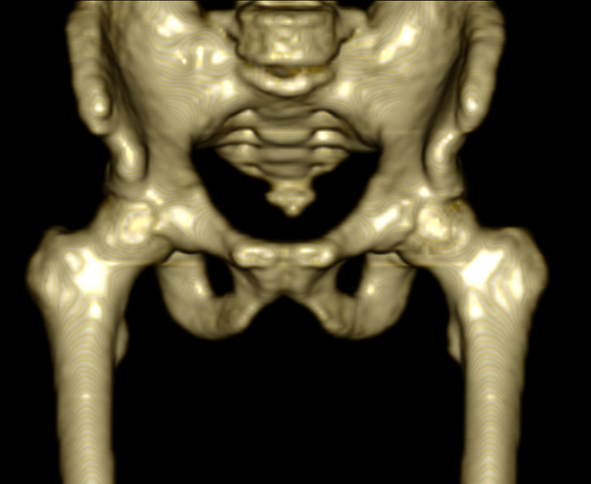 This is built using the RTHawk Research Platform from HeartVista. We can both separate flowing spins and also improve tumor contrast where there is altered cellular transport. We are working to make MRI of the lungs a viable and valuable imaging modality by eliminating need for sedation or breath-holding, and encoding breathing mechanics for unique functional information. Since it uses MRI, there is no ionizing radiation, making this safer than CT scans which are typically used for lung imaging. This is particularly important for pediatric applications since early exposure to ionizing radiation from CT is linked to increased cancer risk (https://www.imagegently.org/), and also allows for repeated, regular lung imaging scans without risk. 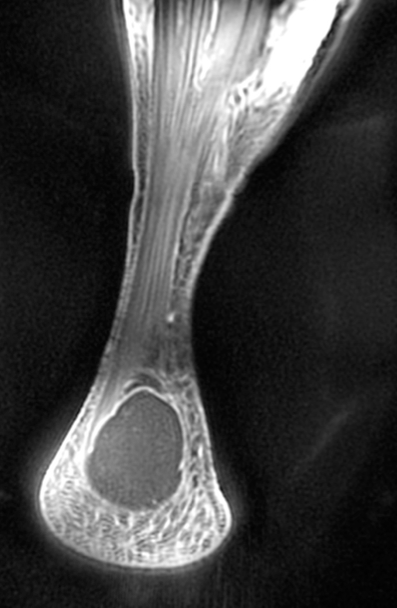 In conventional MRI techniques, tissues with rapid transverse relaxation times (< 2 ms) are undetectable and thus appear invisible. These tissues are solid or semi-solid, and include cortical bone, tendons, and other connective tissues, as well as certain components of cartilage, ligaments, and myelin. Ultrashort echo time (UTE) and Zero Echo Time (ZTE) MRI use specialized RF pulses and acquisition schemes to detect signal from these tissues. This provides positive contrast that may be clinically valuable when observing these types of tissues. Our group is working on techniques to improve UTE and ZTE MRI, including novel contrast generation through RF pulses and multiple echo times, accelerated acquisitions, and improved image reconstructions. We are also exploring several clinical applications of UTE and ZTE MRI, including assessing tendon quality, measuring bone density for PET/MR systems, imaging lung nodules, evaluating pulmonary disease with MRI, and imaging myelin. Hybrid PET/MRI systems are recently introduced commercially, and combine the functional information from PET tracers with the soft-tissue contrast from MRI. We are working on motion management, quantitatifive imaging, and lung imaging for this emerging modality.